She said he had lived across the ocean near what he called the “Kamby Bolongo” and had been out on his farm one day chopping wood to make a Djembe when he was set upon by four human traffickers. He was beaten, chained and dragged through meandering forest paths, out of sight of unsuspecting towns, cities and villages and eventually forced aboard a slave ship bound for Colonial America. Still vividly remembering the stories after he grew up and became a writer, Haley began to search for documentation that might authenticate the narrative. It took ten years and a half a million miles of travel across three continents to find it. Finally, in an astonishing feat of genealogical detective work, he discovered not only the name of “the African”- Kunta Kinte —but the precise location of Juffure, the very village in The Gambia, West Africa, from which he was abducted in 1767 at the age of sixteen and taken on the Lord Ligonier to a state called Maryland and sold to a Virginia planter. Haley has talked in Juffure with his African sixth cousins. On September 29, 1967, he stood on the dock in Annapolis where his great-great-great-great-grandfather was taken ashore on September 29, 1767. Roots: The Saga of an American Family is a monumental achievement of Alex Haley. It is a two-century drama of Kunta Kinte and the six generations who came after him—slaves and freedmen in America, farmers and blacksmiths, lumber mill workers and Pullman porters, lawyers and architects—and then him, the author. But Haley has done more than recapture the history of his own family. As the first African American writer to trace his origins back to their roots, he has told the story of more than 30,000,000 Americans of African descent. Haley rediscovered for an entire people a rich cultural heritage in West Africa that Western Europe’s appetite for uncouth materialism in the form of capitalism and slavery took away from them, along with their names and their identities. But Roots speaks, finally, not just to African Americans who have more than become a formidable African ethnicity in the United States of America. Roots speaks to Africa and to all peoples of African descent, and to all people and all races everywhere, for the story it tells is one of the most eloquent testimonials ever written to the indomitability of the African spirit. Though we are now separated by time and space, the strength of the African spirit, the dynamism of the African soul and the relentless belief in the oneness and freedom of African culture, unites us all, in a faith much larger than any atrocity. We have together transcended time and space to dominate the world as it is. We have, since Kemet, given the world a culture and a civilization to run with and we have overcome the menace of the primitive world whenever it has presented itself on the mother continent. The scourge of colonialism, slavery and imperialism too, though still fresh in our minds, will be overcome. For even Kunta Kinte, throughout his largely tragic life, visited upon him by Europe’s gluttony for material wealth, could never have imagined that his story, from The Gambia through to the Americas, would ever have been written, let alone read by an African teenager in far-away Ghana, for whom slavery until this day is only a fact learned from school textbooks, mucked up to pass the West African Examination Council exams. Kunta Kinte, “the African,” would be pleased to know that his story, penned by his descendant Alex Haley, the African American, changed not only his whole outlook but the outlook on a difficult period in African history. We suffered with him, as he lay chained up in the dark and dank hold of the slaving vessel: we felt the searing pain as his foot was cut off, by some savage European intent on farming cotton for money, as punishment for trying to run away: we choked back the bitter disappointment, along with him, when his captor told him that the money he had saved up was not enough to buy him freedom (namely, that he was too poor to pay for what he was worth!) and we suffered the agony of separation with him as his daughter was sold off to another uncouth European family. So we must now in the spirit of Kunta Kinte, spread the dignity of the ethos of the African tradition and culture and thus re-civilize a world gone rogue on the previous rendition of tools we passed to them at no costs. With that dignity we must also vow to never ever forget these crimes against humanity, lest they be repeated. Previous articleWill African Footballers Resurrect The English Premiere League? Roots is a classic must-read book and must-watch mini series. Kunta Kinte’s story resonates with so many Black people that every child and adult needs to see Alex Haley’s family background and see how it relates to his own. This story shows the power of writing. 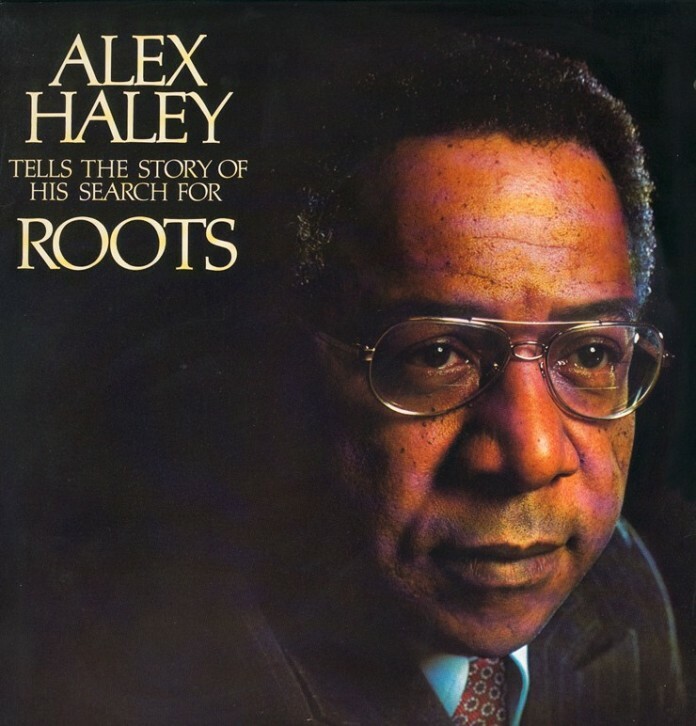 If Alex Haley never thought it was important to not only seek out his roots but write them down for all to read, there would have never been a Roots. We all need to write down our truths so that future generations can share them.